Edmonton actor and playwright Nick Green has written a new play entitled Undercovered, about the 1981 Pisces bathhouse raids in Edmonton. It has a reading tonight in public for the first time at Catalyst Theatre, and will be part of this year’s Exposure Festival for queer arts and culture in Edmonton, running November 12 thru the 21 of this year. 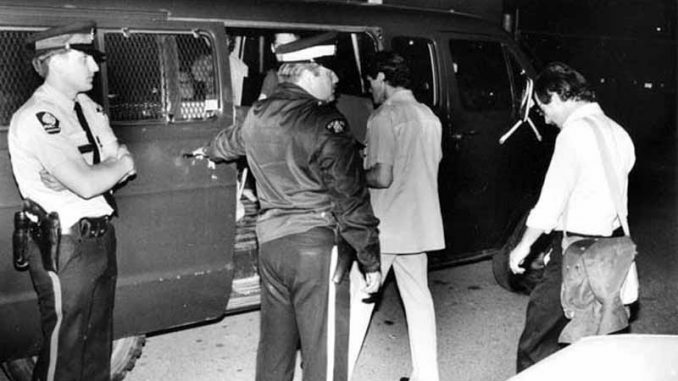 Under-covered documents the journey of several members of the Edmonton Police Force during the investigations into the Pisces Spa leading up to the infamous raid which took place on May 30th, 1981, an event that shook its way into Edmonton’s queer history. The further they dig, the more questions arise, probing into morality, privacy, and the subjectivity of the law. Are things really black and white? And how does the law function in the grey area? Using actual police notes and internal correspondence The play is from the perspective of two cops who went undercover in Pisces, and created characters whose actions and words are ripped from the documents.